Introducing P&S Furniture's Alloyfold A6 Black Aluminum Folding Chairs. Equally as strong, but up to 30% lighter than many steel frame polyfold chairs, the model A6 is light-weight and virtually maintenance-free. Its anodized aluminum frame is difficult to scratch, requires no refinishing, and is highly resistant to rust. 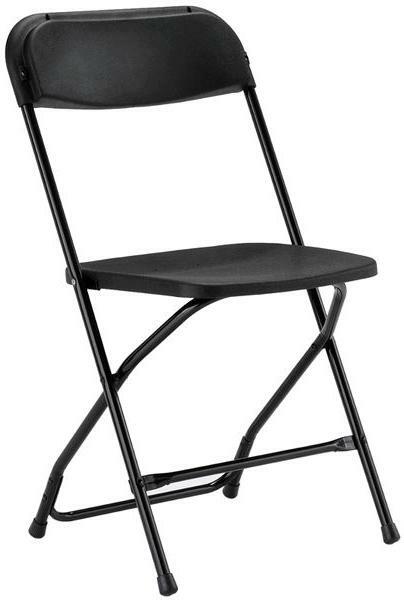 Don't run out of chairs for your event, rent P&S Black Aluminum Folding Chairs.